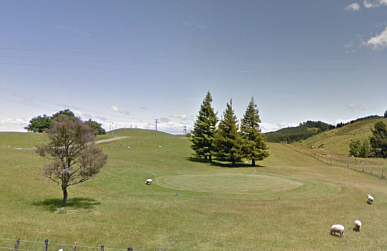 About a 5 minute drive away, the Te Pohue Golf Club provides a 9 hole course on rambling paddocks with sheep, with small but challenging greens with spectacular views. It's golf au naturel. Club day is Sundays and the locals are very welcoming. Phone them on (06) 839-1850 for more information. The rugged bush-clad landscape is ideal for hunting and tramping. A Guide is available by arrangement. We can also store your vehicle, drop you off and pick you up from any chosen location. A charge applies. Contact us. A 20 min drive away, this famous 30 acre garden, with its huge range of trees, shrubs, perennials and natives, is easily enjoyed from its many woodland paths. 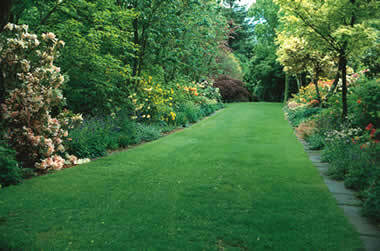 You'll find clipped hedges and flowering trees, all framed by spectacular vistas. And a great cafe, all set in one of New Zealand's finest woodland gardens. The 2500 acre farm next door can give you plenty of scope to ramble and enjoy the dramatic scenery of high country Hawkes Bay. Available only by arrangement, Contact us.